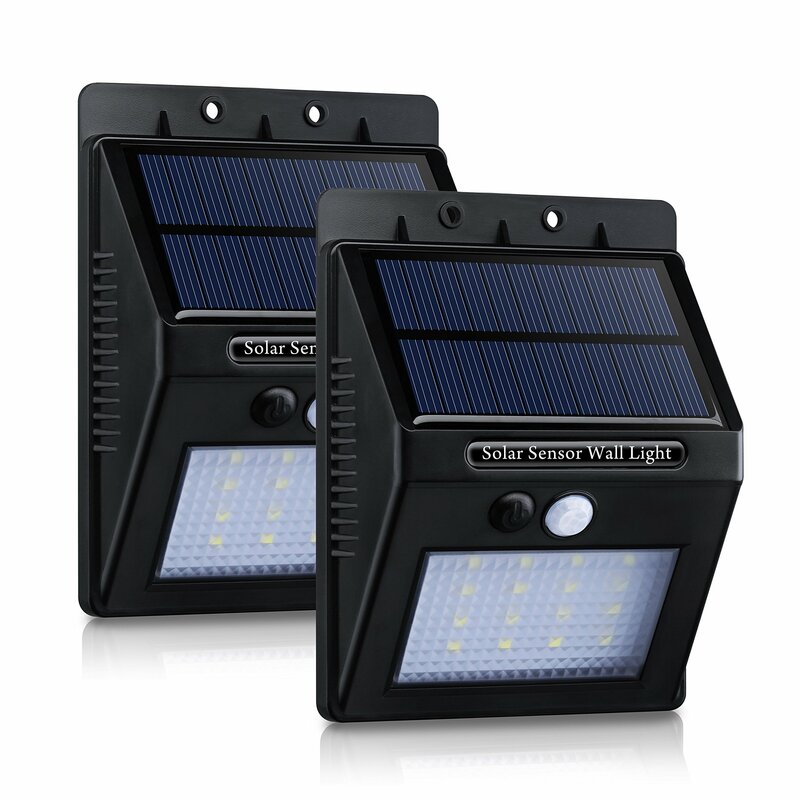 Home › Energy-Efficient LED Lighting › Solar Lights Victec [2 Pack] Garden Waterproof Wireless Security Bright Motio.. Solar Lights Victec [2 Pack] Garden Waterproof Wireless Security Bright Motio.. Item Package Quantity: 2 VicTec Waterproof 16 LED 320 Lumen Solar Wall Light Smart Motion Sensor With PIR motion sensor and light sensor, it will automatically turn on at dimlight mode at night and turn to bright light mode when people coming. Turn todim light again when people moves away Energy Saving Install the light where the panel can get full sunlight and turn the switchon. It will turn the light on automatically at night and be off during the day High Brightness With 16pcs LED, the solar wall light is very bright. The total brightness isabout 320lm Easy Installation With included screws, anchors, it is easy for you to install without anytrouble Specification: Solar Panel: 5.5V; 0.6W; Polysilicon silicon solar panel Battery: 3.7V; 2200mah; 18650 lithium battery Light Source: 16 pcs LED bulbs LED Power: 2W Charging Time: 8h sunshine Working Duration: approx 12 hours Bright Light Mode Delay: 30s Material: ABS, PC Sensing Method: Light & Infrared of human body Sensor Sensing Distance: 3-5m Sensing Angle: 120 Degree IP Grade: IP65 Brightness: 320lm Note: 1.The performance of the solar light depends on the geographical location,weather conditions and seasons 2.Please fully charge the device before first use Package included: 2Solar Wall Light 4Screws 4Plastic Anchors Warranty: 45 days money-back and 12-month, worry-free Guarantee!